The purpose of thermal insulation is to sustain your homes temperature and provide a thermal barrier between indoors and outdoors. It is one of the most cost-effective methods of saving money over the long term for frugal homeowners. 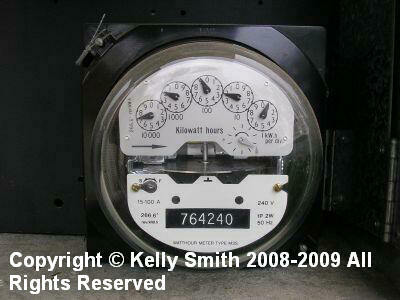 Properly installed, it can pay for itself in terms of energy conservation by lowering your utility bills. Exterior walls, and sometimes even interior (mostly for sound control), take spray insulation for new construction, and blown-in for existing homes. Why? In new homes, spray insulation may be sprayed while the exterior walls are still open to the inside. The modern trend is to use green and eco-friendly building products. Closed-cell spray foam made from soy beans is a great example. However, a lot of older homes were constructed with no exterior wall insulation. Why? This is the primary reason. With no HVAC (Heating, Ventilating, and Air Conditioning), it was viewed as a frivolous expense. Secondly, todays thermal technology didnt really exist; available materials were very flammable and considered dangerous. Third, after HVAC systems became common, utility bills were more affordable than now. It wasnt until energy bills got so high that the public took an interest and building material manufacturers had incentives to work develop efficient products. Soon, owners of older houses began to retrofit their exterior walls to save money. Cellulose has become is a popular material for these retrofits. There are no realistic methods to install fiberglass batts into the the finished wall, save removing the drywall. Bad choice! Mineral fiber like Rockwool is undesirable from an eco point of view. Its manufactured using natural gas-fired furnaces. These release greenhouse gases into the atmosphere. Cellulose insulation uses electricity in the production process. This consumes approximately 15% to 20% less energy than the mineral fiber process with a resulting equal R-value. According to the Canadian Standards Association (CSA), the entire process of producing mineral fiber, pound per pound, takes 59 times more additional energy than cellulose. Cellulose may be produced using recycled newsprint (lower landfill footprint) to which a flame retardant is added, or organic materials like soy (renewable resource, easy crop to grow). To install insulation into finished exterior walls involves creating an opening in order to insert the nozzle. There are two points of entry, either on the inside or on the outside. If your home siding is brick veneer construction, installation must be done from the inside. Exterior wall framing studs are usually 16 inches on center, mandated by the local building code. This means at least one penetration should be made close to the ceiling between each stud, just below the top plate. They own the right tools, although they may be rented by a knowledgeable DIYer. There will be obstructions inside your walls like Romex electrical cable, plumbing lines, and firestopping framing (horizontal noncombustible members between studs). Professional installers will have the experience to locate all these items and cut additional holes where necessary. Following the installation process, the penetrations are plugged up with drywall and the texture and paint must be matched. Many homeowners consider this to be the preferred option. It eliminates the extra time-consuming, messy, and expensive steps of plugging holes and then matching the drywall texture and paint. This option is great if your exterior siding is vinyl, wood, or in some cases, stucco. One or two runs of siding are taken off under the soffit before cutting holes in the sheathing. Additional siding will have to be dealt with to address the issue of firestopping. After the job is done, simply replace the siding. Note that this is not a DIY job. Although you need a pro, you dont want to trust the job to just any contractor. So how do you find a reliable one? I recommend checking on Angies List to find customer ratings on contractors in your area. This is usually the most cost-effective way to reduce your utility bills and carbon footprint. Both wall and attic insulation, along with a foil or painted radiant barrier, will pay for itself quickly. Also, in the US, at the time of this writing homeowners may claim an energy tax credit of up to $500 for 10% of qualified energy efficiency improvements including insulation; something to consider. Website © 2008 KSmith Media.com; all rights reserved; content may not be copied, rewritten, or republished without written permission. Webmasters Google profile.